The founders of CAUSE + EFFECT Strategy and Marketing (CESM) were recently chosen to be profiled by Monroe Community College (MCC) for their contributions to the Rochester community. In addition to running a successful marketing intelligence firm, John Loury and Michael Sutton, also co-founded online interview journal, ROC Our City, a website that features those whose personal and professional journeys represent the best of Rochester. This initiative earned them a spot in the latest MCC Alumni: Inspiring Every Day vignette, airing on 13WHAM TV, beginning February 4. 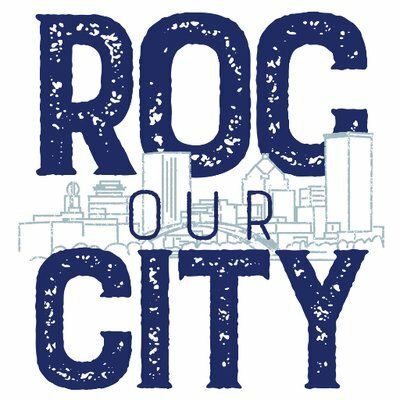 ROC Our City has featured established community individuals whose personal and professional journeys have already impacted Rochester, but also shines a light on the next generation of Rochesterians who are making a difference and bringing Rochester forward. Additionally, John Loury has been appointed to the Board of Directors at the Villa of Hope, as well as Sojourner Home. Villa of Hope helps youth and families regain control over their lives when they have lost hope and renew the power to move their lives in a positive direction. Sojourner Home serves homeless women and children by providing housing, self-sufficiency skills and education programs in hopes to provide them with the tools they need to succeed so they never become homeless again. Founded by John Loury and Michael Sutton, and in partnership with other local collaborators, ROC Our City features interviews with those whose personal and professional journeys represent the best of Rochester. The goal is to shed light on their stories so that we can better understand the beauty that surrounds us in the way we live, learn, and grow together in Rochester, New York. Visit us at ROCOurCity.com.